Level Up Your Business is an organization that began in 2017 by a group of business professionals who desire to inform other professionals in various areas of their company. This group is currently made up of CPAs, Financial Advisors, Attorney-at-Laws, and Marketing Professionals. At their event, they discuss various topics such as entity selection, branding, debt protection, tax control triangle, traditional and digital marketing, and business succession planning. 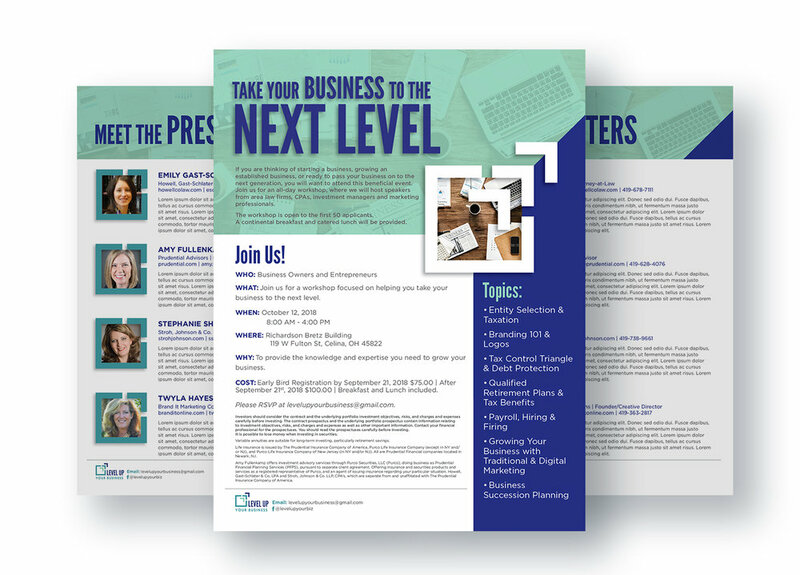 For the Taking Your Business to the Next Level Workshop, I was tasked with creating flyers, agendas, postcards, and social media banners. With this being the first time the client was putting on the event, they client desired a fun, yet professional look for their event material. I worked closely with copywriters and a supervising designer to achieve a design that fit with what the client envisioned. They wanted a flyer to showcase what their event had to offer and an agenda to show how the day would go. 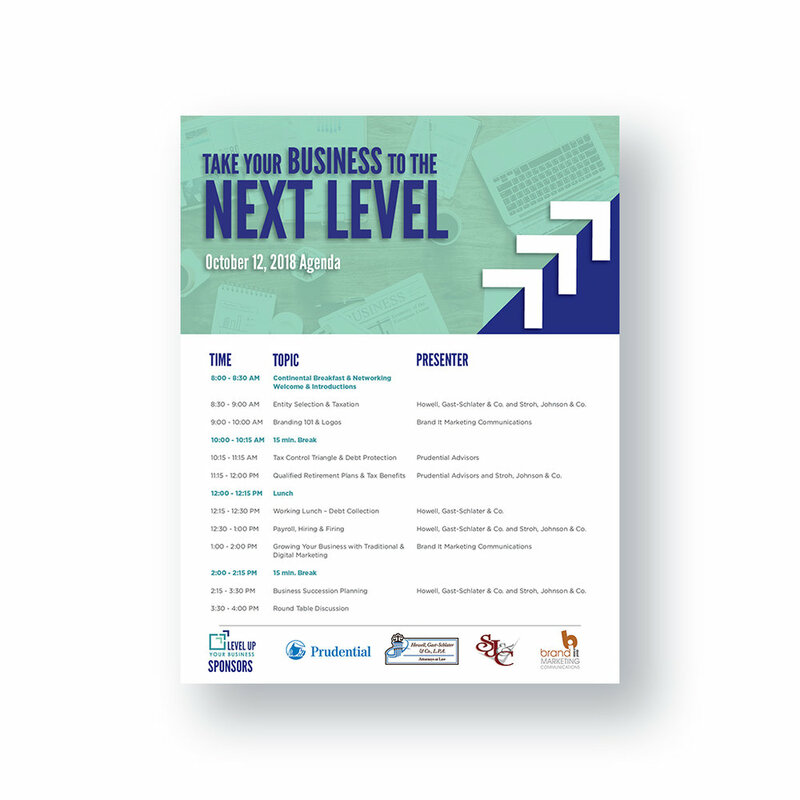 With this workshop being a brand new event taking place, Level Up Your Business wanted to send postcards out in order to spread the word of the event. The postcard was designed with a similar style to the flyer and agenda to keep a consistent look and feel to the material. 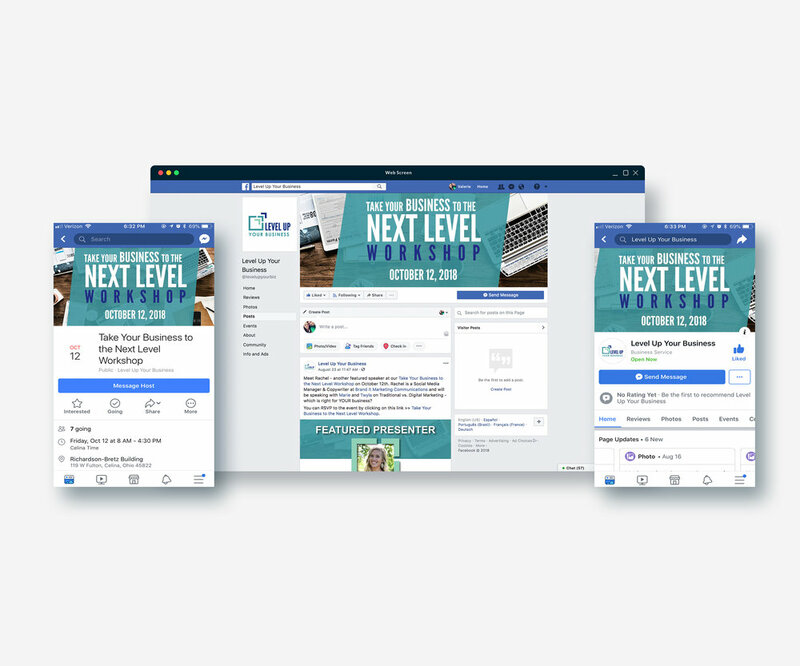 Since social media is so prevalent in today’s society, creating a Facebook Event with designed banners was a great way to advertise for the workshop.